Every Hospital, Clinic, Dental Office, Nursing Home, and Assisted Living Facility has one thing in common – the need to maintain an environment free from germs and bacteria. Common pests such as rats and mice, and cockroaches can carry dangerous pathogens, placing patients – and the business – at risk. 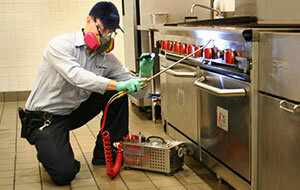 Matrix Pest Elimination utilizes a wide range of proactive abatement programs in all sensitive spaces including food and beverage, treatment and medical lab areas. Our specially designed products and methods will ensure a pest free environment utilizing only the safest products and techniques available in the medical office pest elimination industry. Effective communication and reporting with your Management and Key Staff Members is an important component of our comprehensive approach. Our detailed reporting will ensure peace of mind especially during routine State Health Inspections. Contact us today for a free consultation, and find out how to eliminate your pest problem now. We look forward to hearing from you.